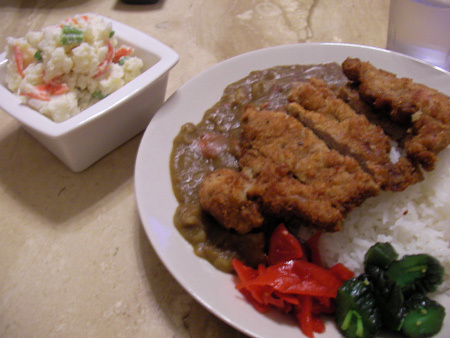 When you are really really hungry and want to stuff up your empty stomach, katsu curry could be one of the options. 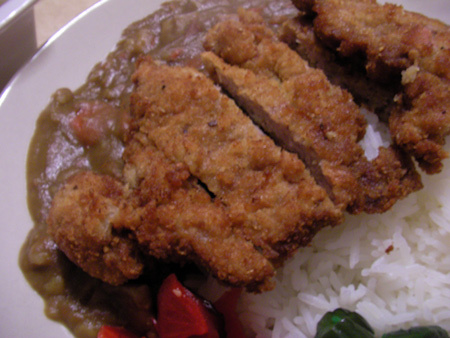 Japanese curry is quite filling as it is, and once you add katsu to it the meal is now super source of energy! You know, there are many types of curry like Malay curry, Thai green curry, red curry… and most of them contain coconut milk. When I came to Perth I realized that the curry I knew in Japan and curry people eat here is totally different. Japanese curry does not contain coconut milk at all. In Japan, curry is one of the easy meal you can cook. Even a kid can make it. It’s because we use this packaged roux which can be purchased from any supermarkets. What you have to do is just dissolve this roux mix in the water. You can add any veges/meat to it, and once the ingredients are cooked through the cooking is done. I liked Japanese curry when I was in Japan, but now I don’t eat them so much. It actually doesn’t taste natural to me anymore after knowing how you can cook delicious curry with all natural ingredients from scratch. 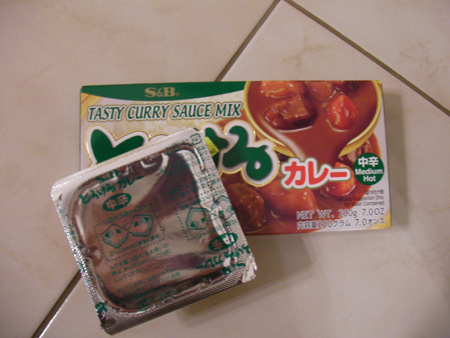 I’m not saying that Japanese curry roux is not good, I still eat them sometimes. I just feel that maybe we shouldn’t eat like this processed food everyday:p However this type of items really is a timesaver for busy people.